Woodworth Associates was hired as a consultant to develop a bid package and to subsequently manage the design, fabrication, and installation of several hundred vehicular and pedestrian signs. 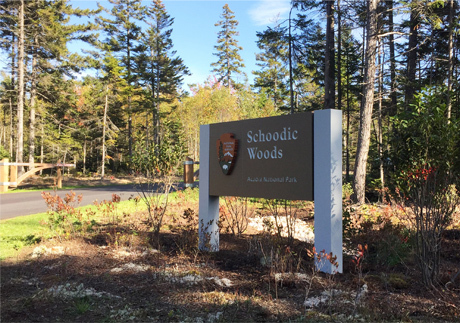 Schoodic Woods is a 1500-acre property adjacent to the Schoodic Unit of Acadia National Park. The signs include park identification, highway and road guide signs, visitor information signs, and regulatory signs. 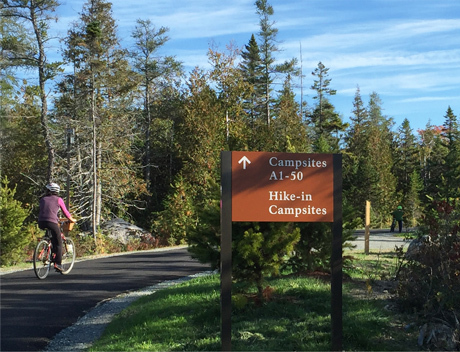 The site includes a new campground, welcome center, bike paths, hiking trails, and a day-use parking area. Coplon Associates of Bar Harbor, Maine was the landscape architect. Neokraft Signs fabricated and installed the signs.